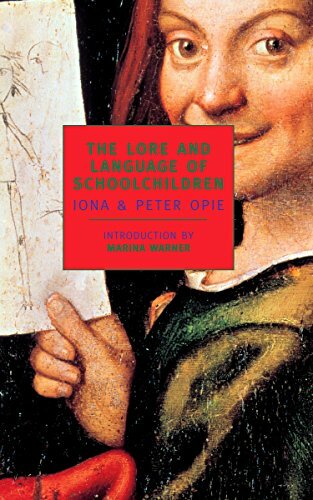 First published in 1959, Iona and Peter Opie's The Lore and Language of Schoolchildren is a pathbreaking work of scholarship that is also a splendid and enduring work of literature. Going outside the nursery, with its assortment of parent-approved entertainments, to observe and investigate the day-to-day creative intelligence and activities of children, the Opies bring to life the rites and rhymes, jokes and jeers, laws, games, and secret spells of what has been called "the greatest of savage tribes, and the only one which shows no signs of dying out." If you have any questions about this product by NYRB Classics, contact us by completing and submitting the form below. If you are looking for a specif part number, please include it with your message.